Looking for affordable and durable Waterproof Flooring? 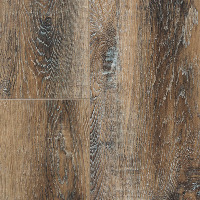 We have a wide selection of waterproof laminate flooring that comes in a variety of colors and textures. Our Waterproof Flooring will not only improve the look and feel of your home but it will offer give you peace of mind from everyday spills. This exciting new line is composed of two engineered vinyl floor series: Mount Rushmore and Denali. The engineered vinyl planks category is a newer segment in the flooring industry, and it is rapidly growing. The Summit Collection features HydroCore: the latest technology in water proof WPC flooring. HydroCore is strong yet flexible so your floor has a flat surface and can be installed either floating or glued down. Copyright © 2019 R&R Products Technologies LLC. All rights reserved.